This Personalized Womens Fitted T-shirt says it all. It is your children that make the day bright & the night peaceful. They bring such joy & love into your life, there is no doubt they make every day seem like a dream. 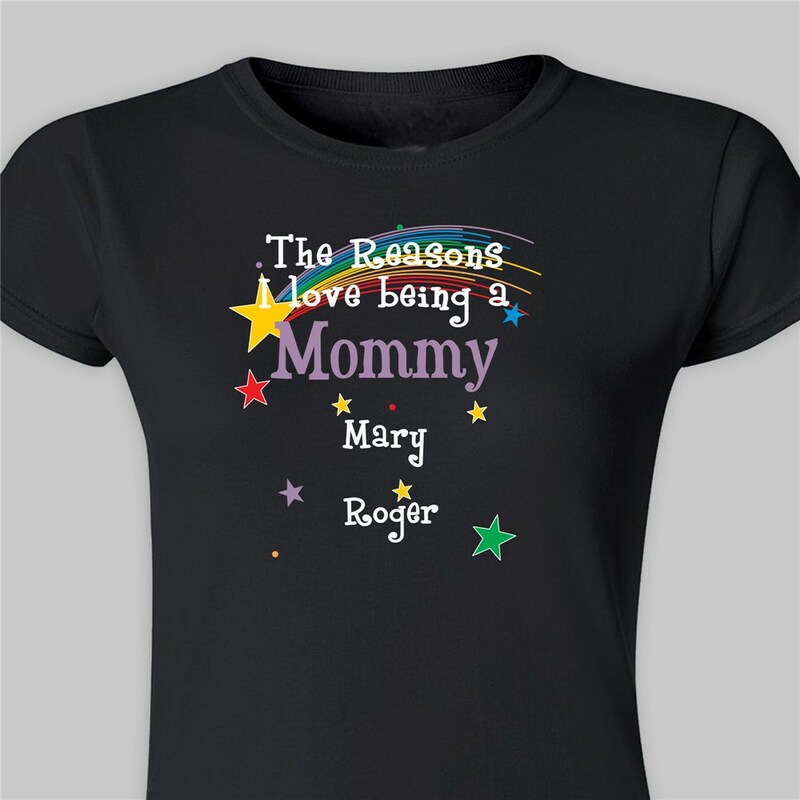 Let your Mom proudly show off her perfect little angels with her own Personalized Mom Ladies' Fitted T-shirt. A perfect gift for Mother's Day or her upcoming Birthday. Your Personalized Shirt for Mom or Grandma is available on our premium 100% soft-style cotton, Personalized Ladies' Fitted T-Shirt, machine washable in adult sizes S-2XL. Shirt is 4.5 oz, pre-shrunk, double-needle stitched sleeve and bottom hemmed. Includes FREE Personalization. Personalize your shirt for Mom or Grandma with any title like Mom, Grandma, Nana, Nanny, Babcia, Granny, you choose and then add up to 30 names. My daughter in law absolutley loved it. Looking for the perfect Mother’s Day shirt for Mom or Grandma? We have Mothers Day shirts, Mom Shirts, Grandmother shirts, Grandma shirts, even Granny shirts, and shirts for Moms, shirts for Grandmothers, shirts for Mothers and shirts for Grandmothers. Choose from our Mother’s Day sweatshirts and Mothers Day t-shirts today.